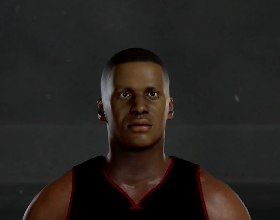 2K doesn't factor non-NBA accomplishments into HOF distinction. Manu's obviously an easy first-ballot guy. The real travesty is the league expanding to 32 teams, and still no Seattle. Lamrock wrote: 2K doesn't factor non-NBA accomplishments into HOF distinction. Manu's obviously an easy first-ballot guy. You actually just gave me an interesting idea. But it will have to wait until next season. For the eleventh time in NBA history an expansion draft was held to construct the rosters of new franchises. Each NBA team was allowed to protect up to 8 players on their roster to make them exempt from selection. A lot of teams used this opportunity to try and dump unwanted contracts, leaving experienced players unprotected in the hopes that one of the expansion franchises would take the salaries off their books. Portland were the most aggressive with this strategy. General manager Neil Olshey made the decision not to protect Evan Turner and Allen Crabbe because of salary cap issues. They are overloaded with guaranteed wages right now and they desperately want to get away from the luxury tax threshold. Other teams to employ this strategy included the Sixers (Marcin Gortat), Bucks (Greg Monroe), Lakers (Luol Deng + Timofey Mozgov), Pelicans (Omer Asik), Wizards (Ian Mahinmi), Raptors (DeMarre Carroll), Timberwolves (Nikola Pekovic) and Suns (Jared Dudley). Locker room unrest was reportedly the reason why the Bulls chose to leave Rajon Rondo unprotected. Rumours leaked out last season that Rondo was allegedly trying to undermine head coach Fred Hoiberg during training sessions. Meanwhile, Denver reportedly left Wilson Chandler unprotected because they are confident that Danilo Gallinari will re-sign next month. It was interesting to see the different strategies of the two franchises. Louisville had no issue taking guys with big contracts, whilst San Diego took a more cautious approach. Perhaps this indicates a different mentality between the two ownership groups. Or maybe picking first just gave the Lions a better shot at building a stronger team. In a quirk of fate that I doubt he ever thought could happen, Rajon Rondo now has the opportunity to spend the final years of his career playing for an NBA team based in his hometown of Louisville. The controversial point guard was taken with the first pick of the expansion draft and will be a key part of building the team. Rondo spent two seasons with the Kentucky Wildcats before being drafted by the Boston Celtics in 2006. The four-time all-star helped the Celtics win a championship in 2008. Making the playoffs isn't a huge stretch of the imagination of the Lions. The veteran core of Rajon Rondo, Marcin Gortat, Jared Dudley and Evan Turner should be good enough to get them into the race for the eighth seed in the weak eastern conference. San Diego were more conservative with their player selection and will subsequently find themselves with a bunch of salary cap room, should they decide to use it. The availability of Greg Monroe and CJ Miles is still up in the air due to their free agent status. It's probable that they are planning on building through the draft and keeping their salary cap very flexible in order to target a big name in the future. Who knows, maybe DeMarcus Cousins could be lured away from the dysfunctional environment in Sacramento and become the cornerstone of this exciting new franchise. Both franchises also confirmed the appointments of their inaugural head coaches. Louisville have hired former Memphis and Brooklyn coach Lionel Hollins on a three year contract. He should be an ideal coach to guide them in their playoff quest after his experience in leading the Grizzlies to the western conference finals in 2013. Meanwhile, San Diego have signed Boston Celtics legend and former Minnesota and Houston coach Kevin McHale, also on a three year deal. McHale will return to coaching duties after sitting out last season following his departure from the Rockets. Both Louisville and San Diego be aiming to fulfill the modest goal of avoiding finishing with the worst record in their respective conferences. 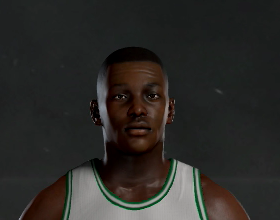 "With the first pick in the 2017 NBA draft, the Boston Celtics select, Harry Giles from Duke University". As predicted, the Celtics go with Harry Giles from Duke. Many experts believe that his ceiling is slightly lower than that of Josh Jackson and Markelle Fultz, but he is a much better fit for Boston right now. The fact that the athletic forward was taken with the first overall pick a few years after suffering two ACL injuries is a massive credit to his recovery and determination to follow his dream of playing in the NBA. Fan Opinion: "Interesting choice. Giles isn't the best player in this draft, but he is the best fit for us out of that top group of guys. No point picking one of the point guards when we already have Isaiah and Marcus." Hold on. Adam Silver is walking back out to the podium with a interesting expression on his face. "We have a trade to announce..", he declares. "The Boston Celtics have traded Harry Giles, Jae Crowder, Jaylen Brown and a 2018 first round pick (via Brooklyn) to Indiana in exchange for Paul George and Thaddeus Young". Wow! This is a surprise. There were rumours that Celtics GM Danny Ainge had tried to acquire DeMarcus Cousins and Jimmy Butler last season, but he wasn't able to agree a deal for either player. Paul George's name was barely raised in trade discussions, which is why this trade caught most people off guard. It seems as though the Celtics have decided that the time is right to fully commit to an all-out pursuit of a championship. They have cashed in a lot of their valuable assets to acquire the four-time all-star. Before now they had been reluctant to part with so much to get a deal done. George is exactly the type of player who can lift them to equal billing with Cleveland in the race for eastern conference supremacy. With a core of Paul George, Al Horford, Isaiah Thomas and Avery Bradley, Boston will surely be able to match it with the Cavs' big three in any future playoff meetings. 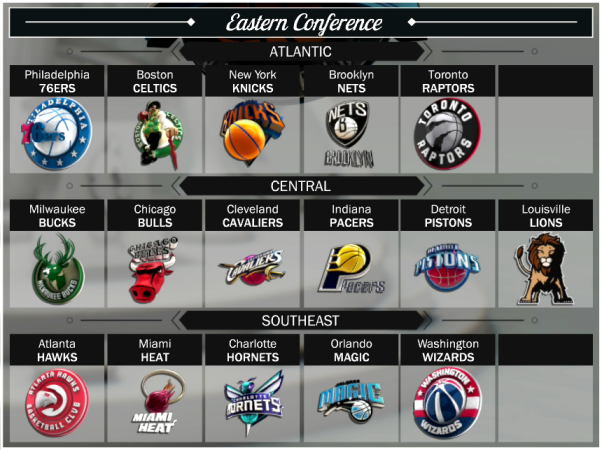 Suddenly the eastern conference landscape is changing. Boston and Philadelphia are strengthening in the hopes of knocking LeBron off his perch. It's been nine seasons since a team that wasn't led by the four-time league MVP made it to the NBA finals from the eastern conference. Danny Ainge clearly feels that this is the moment to strike with a deal like this, as Al Horford is 31 years old and key guards Isaiah Thomas and Avery Bradley are entering the final years of their current contracts. It's very much an "all in" move for Boston. The Pacers are following Washington's lead by cashing in on their star player whilst he still has high value and are now adjusting their goals. After two consecutive conference finals appearances in 2013 and 2014, they have had three disappointing seasons and it became apparently to management that this group wasn't capable of leading them to where they wanted to go. George was about to enter the final year of his contract. Indiana's failure to make the playoffs last season reportedly left him questioning his future, even though his absence through injury for a large chunk of the season was a major contributor to their poor record. The path that the Pacers are now on will see them build around Myles Turner, Harry Giles and Jaylen Brown, as well as whoever they select with pick 13. Not to mention the high likelihood that they will be getting a top 5 pick in a year's time if the Nets have another horrible season. It's unclear at the moment whether this deal was arranged before the draft and if Giles was the preferred choice of the Pacers. I guess we'll find out whether or not he is staying in Indiana in the next ten minutes or so. We know Minnesota were very interested in Giles before the draft. Could they look to make a deal with the number two pick? The Timberwolves decide to go with Washington combo guard Markelle Fultz with the second overall pick. This could mean that they are working on a deal with Indiana for Harry Giles. Why else would they take a point guard when they already have Kris Dunn and Ricky Rubio? You would have thought that they might have taken Josh Jackson from Kansas if they were picking for themselves. Who knows, maybe they just see Fultz as a much better prospect than Dunn. The fit may not be perfect right now, but the talent the Fultz possesses has led to many draft experts dubbing him the next James Harden. His elite skills and athleticism, combined with his good size should allow him to become an all-star one day. We'll have to wait a few more minutes before finding out what is truly happening. Fan Opinion: "Thibs must be working on a deal. Either that or David Kahn is back in control." "We have another trade to announce", proclaims commissioner Silver. The Indiana Pacers have traded Harry Giles to the Minnesota Timberwolves in exchange for Markelle Fultz, a 2020 first round pick and a 2018 second round pick. Larry Bird isn't kidding around today. 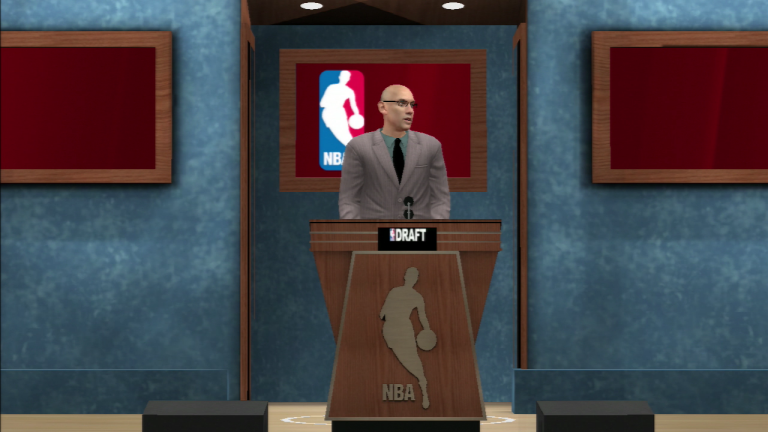 Just minutes after trading superstar Paul George for the first overall pick Harry Giles, he is now sending Giles to the Minnesota Timberwolves for second overall pick Markelle Fultz and future draft picks. Minnesota were reportedly very high on Giles after scouting him extensively. They view him as the final piece of the puzzle to becoming a legitimate contender in the next few years. His athleticism and mobility will make him the perfect frontcourt partner for Karl-Anthony Towns and Andrew Wiggins. Opposition teams will find it tough to contain the relentless physical play of this trio. The Pacers are gathering as many assets as they can now and picking up a future first round pick to drop down one spot is a no-brainer for them. Especially if Fultz does end up having a better NBA career than Giles, as many experts believe he will. Having Fultz, Myles Turner and Jaylen Brown to build around isn't too shabby for the Pacers. If they draft well over the next few seasons we could well see them become a better team than they ever were during the Paul George era. After all that excitement we get back to the draft in progress. Denver picks explosive Kansas wing Josh Jackson with the third overall pick. This is a great result for them after losing Wilson Chandler to San Diego in the expansion draft and having Danilo Gallinari reportedly ready to test his free agency options next month. Jackson has received a lot of comparisons to Minnesota star man Andrew Wiggins during his time at Kansas thanks to his speed and athleticism. He has the ability to not only create his own shots, but also to create good looks for his teammates. Denver are absolutely stacked with young talent now with Jackson, Nikola Jokic, Emmanuel Mudiay, Jamal Murray, Gary Harris, Jusuf Nurkic, Malik Beasley and Juan Hernangomez. Having the speed of Jackson and Mudiay, the outside shooting of Murray and the interior scoring power of Jokic will make the Nuggets a scary prospect for a lot of teams for years to come. Hopefully this exciting young group can follow the path taken by Oklahoma City and Golden State in the past decade. Building through the draft can be incredibly effective if done correctly. Fan Opinion: "I love this pick. Jackson is gonna be the best player from this draft. Bookmark it!" What an exciting day for the San Diego Eagles franchise. They use the fourth overall pick to make NC State guard Dennis Smith Jr their first ever drafted player. He looks very proud as he walks onto the stage to shake Adam Silver's hand. 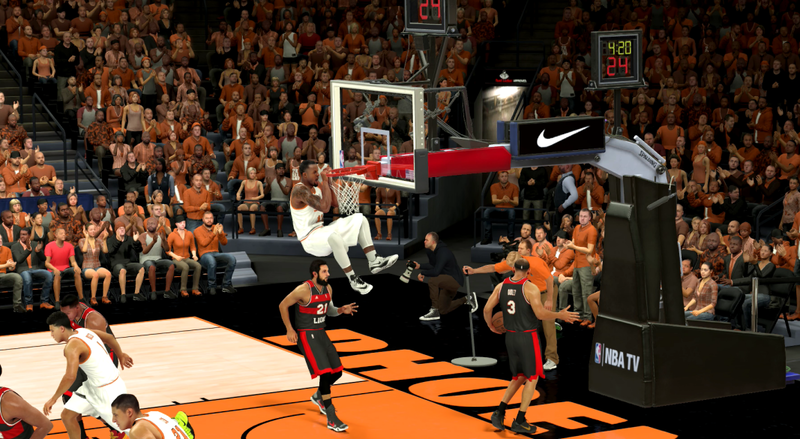 Smith has been likened to Derrick Rose due to his explosive athleticism and play above the rim. 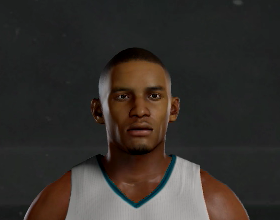 He attacks the rim with aggression and is a very good finisher, even whilst under high pressure. He did tear his ACL in his senior year of high school, but looks to have recovered fully from that and has a clean bill of health. Fan Opinion: "I don't really follow college hoops, but I hear this kid is the real deal. Let's hope he becomes an all-star for us." And now it's time for Louisville to also pick up their first drafted player. And they have used the fifth overall pick on UCLA point guard Lonzo Ball. Ball is perhaps the most intriguing prospect in this draft. 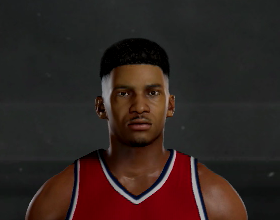 He has the size of a shooting guard and a solid shooting range, but his excellent playmaking abilities mean that he is most comfortable playing as a point guard. It remains to be seen if his unorthodox shooting stroke will be as effective at NBA level as it was with the Bruins. Having veteran Rajon Rondo to mentor him in Louisville will be a massive boost to his development. Fan Opinion: "I'm surprised they didn't go with [De'Aaron] Fox or [Malik] Monk from Kentucky. They seem to like the local products. Ball is gonna be a star though." The heat came into this draft looking to draft a point guard and that's exactly what thy have done. The only surprise is that they have opted for the international man of mystery Frank Ntilikina over Kentucky star De'Aaron Fox. 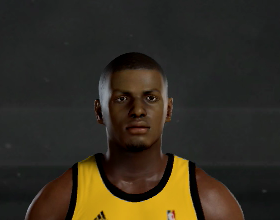 The main strengths that Nitlikina possesses are his size and quickness. And he is probably the best natural playmaker in this draft and loves finding his teammates. He has elite wingspan for a guard, but needs to hit the weight room and bulk up to be able to guard NBA point guards more effectively. Between Justise Winslow and Ntilikina, the future looks very nice for Miami. Fan Opinion: "I've never seen this guy play, but I hear he is good. I trust Riley's judgement on this." After a horrible season, the Dallas Mavericks were hoping for for a high draft pick. But the addition of the two new franchises, coupled with Denver's rise in the lottery saw them slide down to the seventh overall pick. It's not all doom and gloom though because they have used that selection to draft Kentucky point guard De'Aaron Fox. The Texas native was actually born just a few hours south of Dallas, so his family will be thrilled with this outcome. Fox was known at Kentucky for his explosive athleticism and high skill level, coupled with an aggression to always attack on offense that made him a nightmare to guard. He will probably get a lot of playing time in his rookie season with Deron Williams set to leave the Mavericks next month. Fan Opinion: "I really like this pick. This kid has John Wall written all over him. I'm excited." With the pick they received from the Sixers in the John Wall trade, the Wizards select Kentucky shooting guard Malik Monk. Washington had probably hoped to draft a long-term replacement for Wall, but all the top tier point guards are now off the board. So they instead went for one of the best scorers in the draft, Malik Monk. He can play as a combo guard at times, but he is definitely more comfortable creating shots for himself, rather than his teammates. He is a little small for his position, but makes up for that lack of height with a highly polished offensive game. It's another new era for the Wizards. This time built around a core of Bradley Beal, Jahlil Okafor, Brandon Knight, Otto Porter, Kelly Oubre and now Malik Monk. They also have the fourteenth overall pick still to come. Fan Opinion: "I love this pick. Monk is gonna be one of the best scorers to come outta this draft. A real steal like Devin Booker was for the Suns a couple of years ago." The Orlando Magic select Florida State forward and native Floridian Jonathan Isaac with the ninth overall pick. This is a great result for both parties as the Magic get a versatile forward with immense upside, whilst Isaac gets to begin his NBA career with a team that is located directly between the campus where he attended College and the town where he grew up. Isaac's draft stock really gained upward momentum late in the college season as more and more people noticed his impressive play for the Seminoles. Some experts even suggested that he may go in the top five. So the Magic can consider this a steal at pick nine. Despite his 6'10" frame, Isaac runs the floor like a guard and has good ball handling ability and athleticism. He also has a smooth shooting stroke with solid range. He could be an all-star one day. Fan Opinion: "Keeping things local, I like it. I watched every game he played this season and let me say this, this guy is gonna be a beast." This is a very surprising selection by the Hornets. Ferguson took the gamble of skipping college and opted to play professionally for a year in Australia instead. It seems as though that gamble paid off as he'll now get to live his NBA dream. The Hornets must be confident in their scouting reports because the high-flying shooting guard wasn't expected to go inside the top fifteen picks. Ferguson is known as a big-dunking showman in a similar mould to Vince Carter or Terrence Ross. He will need to keep working hard to expand his game if he wants to become a consistent scorer in the NBA. I'm sure Hornets fans are just happy that they didn't draft another stretch four white guy in the lottery. It's too bad, because both Isaiah Hartenstein and Lauri Markkanen were still available too. They will have to make do with Cody Zeller and Frank Karminsky. Fan Opinion: "I'm not really sure about this pick. Why did we pass on Jayson Tatum?" For the third time tonight commissioner Silver utters that familiar phrase, "We have a trade to announce". The New Orleans Pelicans have traded the sixteenth overall pick, Quincy Pondexter and Alexis Ajinca to the Oklahoma City Thunder in exchange for Enes Kanter. This trade isn't as exciting as the previous two, but it could be important for the two teams involved. It sees the Pelicans acquire center Enes Kanter for the sixteenth overall pick and two veterans. For the Thunder, this deal is about shedding salary whilst still remaining competitive. With the extensions of both Steven Adams and Victor Oladipo taking effect next season, Oklahoma City faced a salary increase of over $30 million. So they really needed to ditch the $18 million contract of backup center Enes Kanter. Sending him to New Orleans landed them two much more manageable contracts and a chance to enter the draft much earlier than they usually do. This is a solid move for the Pelicans. Superstar Anthony Davis desperately needs help and adding one of the best offensive centers in the NBA to play alongside him is a good move. Kanter is often criticized for his weak defensive play, but having Davis cover for him should reduce that issue. The Pelicans still need to add a lot more shooting to their team, but this move is a good start to their off-season. Out comes Adam Silver, "We have a trade to announce". Here we go again. The New York Knicks have traded Jayson Tatum and pick 56 to the Oklahoma City Thunder in exchange for Jaron Blossomgame, Sviatoslav Mykhailiuk and a 2018 second round pick (via Boston). Sam Presti is having fun tonight. He has turned Enes Kanter and some draft picks into highly-rated Duke forward Jayson Tatum. The gifted scorer has some huge shoes to fill as the media will now likely proclaim him as Kevin Durant's replacement in Oklahoma City. The Thunder did still make it to the western conference finals without Durant, but they really lacked another wing scorer. That is exactly what Tatum was at the college level and what the Thunder will be hoping he becomes in the NBA. This is an interesting move from the Knicks' perspective. A lot of people would have been happy to stick with Tatum, but they clearly feel that the package they received was better value overall. Both of the guys they picked up here have pretty good upsides. Maybe they have developed a new marketing ploy which prices jerseys by how many letters they have in the name on the back. They now have Porzingis, Kuzminskas, Hernangomez, Blossomgame and Mykhailiuk on their roster. Getting selected in the draft isn't always a guarantee that you'll be joining the NBA ranks. Several second round pick each year miss out on being signed by the teams who drafted them due to roster size and salary cap issues. Dang. Indiana came out of that draft with a ton of assets. Fleeced the Celtics IMO. Jonathan Jeanne is a nice pick-up. I know nothing about him other than that he's french and really tall. Maybe if he puts on 50 pounds he'll become the next Gobert? If not, you still have Len I guess. The funny thing is that this PG13 trade happened before all the real life deadline stuff. So it was probably an overpay in the end. But I don't think the Celtics will be complaining if they win a title or two. I also needed some backup for Devin Booker, so I figured "why not take the guy who went to college in-state?" I like adding little elements like that to he overall story of this game. Hopefully I can sign someone good in free agency and have another run at the playoffs next season. Cleveland were already expected to make some changes during this off-season after their disappointing showing in the NBA finals against Golden State a little over ten weeks ago. Then the Paul George trade went down on draft day and suddenly the stakes were raised dramatically for them. The Celtics became an instant threat to their status as top dogs in the eastern conference. All kinds of stories started popping up once the news got out that the Cavs were looking to acquire a big-name player to help them better combat the talent-filled Warriors juggernaut. A host of stars were linked with moves to Cleveland including Chris Paul, Carmelo Anthony, Chris Bosh, LaMarcus Aldridge and Marc Gasol. After reportedly failing to agree upon a deal with the Knicks for Carmelo Anthony, Cavs GM David Griffin then called up Pat Riley in Miami with the hope of getting a deal done for twelve-time all-star Chris Bosh. Cleveland didn't really have a bunch of valuable assets, and the star duo of LeBron and Kyrie Irving were untouchable. That left Kevin Love as the odd man out after a poor showing in the finals. Although no one will ever admit it publicly, there is no doubt that LeBron James was consulted about this trade. Not only because the Cavs wouldn't pull the trigger on a trade of this magnitude without his approval, but also because Chris Bosh is a good friend of his and someone who he won two titles with during their time together in Miami. LeBron was reportedly quite upset in private with the way Kevin Love played in the finals series. And bringing in a guy like Bosh, who he already has good chemistry with, seems like something he would want to do. Bosh may be 33 years old now, but he is still playing at a high level. Despite his team being absolutely rubbish last season, he still managed to average 20 points, 10 rebounds and 2 blocks per game. It was good enough for him to make the All-NBA third team, which was only the second time in his career that he has made an All-NBA team. The Cavs really needed a big-time move like this to kick-start their off-season. They had lost JR Smith to the Nets because of salary cap restraints and Richard Jefferson to Louisville in the expansion draft. They also had veteran role players like Mike Dunleavy, Chris Andersen, James Jones and Dahntay Jones retire from the NBA last month. The signing of sharpshooter Kyle Korver is a big boost though. It's rare to see two all-stars traded in a straight-swap deal, but it seems as though both parties felt that the trade was fair. Arguably Bosh is the better player right now, but Love having several more years left in the league evened up the value. After four trips to the NBA finals in as many years and two championships, the Heat have missed the playoffs in two of the past three seasons without LeBron James. Pat Riley is not the kind of guy who sits back and accepts mediocrity, so an off-season rebuild was always likely after they finished with the third-worst record in the league last season. 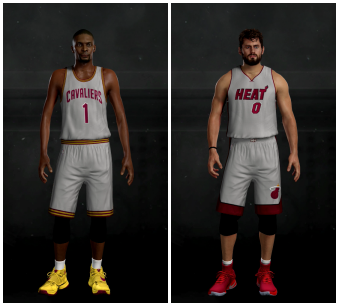 They begin by trading for all-star big man Kevin Love. It's actually a very smart move because Love fits their age profile much better than Bosh did. Their new frontcourt pairing of Love and Hassan Whiteside are both in the prime of their careers and should compliment each other nicely at both ends of the court. Whiteside's strong interior defense will make up for Love's deficiencies, whilst Love's ability to stretch the floor with his perimeter shooting should allow them to work well together offensively. Love also has a year more on his current contract than Bosh, albeit a player option. His salary numbers will help the Heat a bit as they are several million per season cheaper than what Bosh is making. Suddenly the Heat's window has opened right up. The trio of Love, Whiteside and Dragic should be able to make them competitive enough to reach the playoffs, whilst youngsters Justise Winslow, Josh Richardson and Frank Ntilikina give them room for improvement in the next few seasons. The two big men should still be solid NBA players when those younger guys hit their prime. This may not be the final deal made by Riley this off-season. The Heat don't own their first round pick next season, so they have no reason to tank. It's entirely possible that we could see them re-emerge as a strong playoff team after a few inconsistent years. Just over a week after acquiring Kevin Love from Cleveland, the Miami Heat agree upon a deal with the Minnesota Timberwolves to acquire Ricky Rubio and Gorgui Dieng. In return the Timberwolves received Goran Dragic, Dion Waiters, Josh McRoberts and a 2018 second round pick. Pat Riley continues to strengthen his team with his second trade so far this off-season. This isn't a deal that landed him a star player, but he did get two very solid role players who will certainly push his team into playoff contention next season. It's just the latest way that he has reinvented this successful Miami team. Spain international Rubio is known as one of the craftiest playmakers in the league thanks to his excellent passing vision and skill. 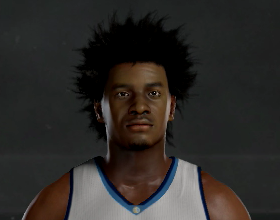 He has become surplus to requirements in Minnesota after the emergence of Kris Dunn last season. Hopefully a change of scenery will restart his NBA career. Adding Gorgui Dieng is a good move for Miami as they seriously lacked support for Hassan Whiteside. Now they have a quality three-man rotation with Whiteside, Dieng and Love. Minnesota are on the cusp of becoming a dynasty if you believe the hype. They recently added number one pick Harry Giles to an already impressive young core of Karl-Anthony Towns, Andrew Wiggins, Zach LaVine and Kris Dunn. The free agent signings of Taj Gibson, Gerald Henderson and Jeff Green add to a handy group of veterans that also includes Goran Dragic and Nikola Pekovic. This deal does a few things for them. First, it will free up some more playing time for rookie Harry Giles and give him an opportunity to develop a partnership with Towns. 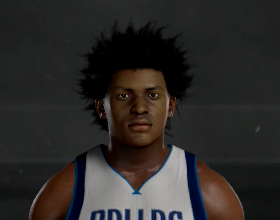 Secondly, it gives them a better offensively-minded backup for Dunn at point guard. Perhaps most importantly, it gives them more salary cap flexibility ahead of the vital 2018 off-season when Wiggins and LaVine become free agents. Dragic may have a monster contract for a reserve player, but it works out as much cheaper than the combined salaries of Rubio and Dieng would have been. The salaries are almost exactly the same for next season. In 2018-19 Dragic will save them over $11 million. In 2019-20 he saves them over $12 million. The fourth year of his contract is a player option, but it's the same time that Rubio will be a free agent anyway. Minnesota are expected to waive Josh McRoberts in the next few days. This upcoming season could be the most important for the Sacramento franchise since they reached the western conference finals in 2002. All-star big man DeMarcus Cousins is set to become an unrestricted free agent next summer and as of yet he hasn't committed either way, to staying or leaving. So Kings general manager Vlade Divac has been working overtime to get some moves done this month that will hopefully help the Kings make the playoffs next season and convince Boogie to stay. 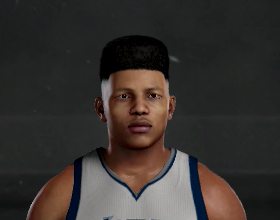 Things got off to a bad start when Rudy Gay opted to leave California and head to Brooklyn. But Vlade did manage to sign Danilo Gallinari on a four year deal worth around $88 million as his replacement only days later. He also brought in highly respected veterans Deron Williams and Boris Diaw to add some depth and leadership to their bench. His latest move is to acquire veteran wing scorer Wesley Matthews from the Dallas Mavericks. The shooting guard position has been a trouble spot for the Kings in the last decade. They have tried addressing the issue through the draft, but Tyreke Evans (pick 3, 2009), Ben McLemore (pick 7, 2013) and Nik Stauskas (pick 8, 2014) all failed to live up to their potential. They haven't had a good shooting guard since Kevin Martin was traded to Houston in 2010. Wesley Matthews could be the answer to their problems. The veteran has established a reputation for being both an efficient scorer and a competent defender. Those are two things that the Kings desperately need, as are his leadership abilities. This looks like a good deal for them. They had a surplus of seven-footers, so losing Cauley-Stein shouldn't hurt them too much. Thirteenth overall pick from 2016 Georgios Papagiannis will be the happiest person at the news of this deal. He should finally get some decent playing time behind DeMarcus Cousins and Kosta Koufos now. Salah Mejri is expected to be waived in the coming days. Dallas take the gamble that a couple of former lottery picks can be de-Sacramento'd and turned into solid NBA players. Willie Cauley-Stein and Ben McLemore both failed to live up to expectations with the Kings, but will be hoping to get their NBA careers back on track with the Mavericks. This move is aimed squarely at adding some more youth to the team as Dirk Nowitzki winds down his illustrious career. The post-Dirk Mavs will likely be built around a core of Harrison Barnes, De'Aaron Fox, Dwight Powell, Justin Anderson, Seth Curry and the two new arrivals. They needed a center after Andrew Bogut left to join San Diego and Cauley-Stein could be a solid replacement. Apart from adding the foundation for life after Dirk this trade also clears Matthews' large salary from their books. Owner Mark Cuban has always tried to sign star free agents in the past and mostly failed. There is little doubt that he will be targeting the likes of LeBron James, Kevin Durant, Russell Westbrook, Carmelo Anthony, DeMarcus Cousins, Isaiah Thomas, Paul George, DeAndre Jordan, LaMarcus Aldridge or Derrick Favors should any of them test their free agency options next season. Dallas are reportedly planning to waive Matt Barnes. He could be off to either Golden State or Cleveland once he clears waivers. The Nuggets and Suns make a rather straightforward swap of backup wing players with this deal, with the Nuggets acquiring TJ Warren and the Suns receiving Will Barton. Both players are entering the final year of their current contracts. Denver had some roster balancing to do after losing both Wilson Chandler and Danilo Gallinari this month. They did manage to add both Josh Jackson and OG Anunoby through the draft, but they needed a veteran scorer to fill the hole at small forward. With youngsters Jamal Murray, Gary Harris and Malik Beasley all needing more minutes at shooting guard, that made using Barton dispensable. TJ Warren has the potential to be a solid second or third scoring option on a good playoff team, but just found himself being overshadowed on offense by the likes of Alex Len, Terrence Ross and Dragan Bender last season. Hopefully this new start will do him good. The Nuggets have one of the best young cores in the NBA based on potential. Nikola Jokic, Emmanuel Mudiay, Josh Jackson, Jamal Murray, Gary Harris, Jusuf Nurkic, Juan Hernangomez and Malik Beasley could all be very good players one day. They just need to start winning games so that they can gain some experience in the playoffs. For Phoenix, this deal is about acquiring a quality backup for Devin Booker. TJ Warren's future had been in doubt since the arrival of Terrence Ross midway through last season, and the recent signing of Andre Iguodala pushed him further down the pecking order. It was looking increasingly unlikely that the Suns would be willing to offer Warren an extension at the end of the season based on the salary he would have asked for, so he probably would have been dealt before the deadline anyway if this trade hadn't come up. Barton should provide a nice scoring boost for the Suns bench. They twenty-six year old wing player has been showing an improved outside game this year and of course he is always good for a spectacular dunk. There should be plenty of high-flying action from the Suns' second unit between Barton, Ross and the surprisingly-lively Marquese Chriss. After surprising everyone by making the playoffs last season, Phoenix have made a conscious effort to add veterans to their young team this off-season in order to help them in future series. Their lack of playoff experience really showed last season as they were humiliatingly swept by the Golden State Warriors in the first round. The addition of respected veteran Andre Iguodala on a two year deal could be a wise investment. Iguodala has been involved in the recent success that Golden State have enjoyed and he can bring that knowledge to the Suns. He can offer guidance and advice to Devin Booker as to how he can improve his game and become a similar player to Klay Thompson. The final major transaction of a busy off-season period saw the Denver Nuggets send power forward Kenneth Faried, guard Malik Beasley and veteran Jameer Nelson to the Sacramento Kings in exchange for Kosta Koufos, Garrett Temple, Skal Labissiere and two future draft picks. This could be the final piece of the puzzle in Vlade Divoc's off-season overhaul. Sacramento sorely lacked an experienced power forward, so acquiring Kenneth Faried is a solid move for them. Faried will add rebounding and defensive pressure to the Kings line-up. He will hopefully take some of the burden off of DeMarcus Cousins. After more than a decade with playoff basketball, it seems like the Kings may actually have a squad capable of fighting for the eighth seed next season. It's always a difficult task in the stronger western conference, but the additions of veterans Danilo Gallinari, Kenneth Faried, Wesley Matthews, Deron Williams, Boris Diaw and Jameer Nelson should give them a massive boost. 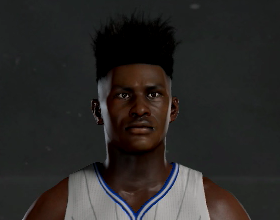 Youngster Malik Beasley will be pretty happy to find himself at a new home. The shooting guard was taken by the Nuggets with the nineteenth overall pick in 2016, but he didn't play a single minute in his rookie season. That was thanks to being behind the likes of Jamal Murray, Gary Harris and Will Barton in the rotation. Now he will only have to compete with Malachi Richardson to be Wesley Matthews' backup. The Nuggets had reportedly been looking to trade Faried ever since they signed Jared Sullinger to a four-year $63 million deal this month. The two main reasons behind that were freeing up salary cap space and also giving youngster Juan Hernangomez a shot at playing more. One downside of having so many talent young players is that they will all soon be coming out of their rookie contracts and wanting big pay rises. In just the next few years the Nuggets will have to deal with extensions for Nikola Jokic, Emmanuel Mudiay, Gary Harris, TJ Warren and Jusuf Nurkic. So they need as much salary cap flexibility as they can get. Veterans Kosta Koufos and Garrett Temple will likely only be staying in Denver for one season, but Skal Labissiere could be a great pickup for them. He can play at either of the center or power positions and has great potential at both ends of the court. Yeah it does sound funny, but he was the best player available. I liked the funny coincidence of him being from Louisville. 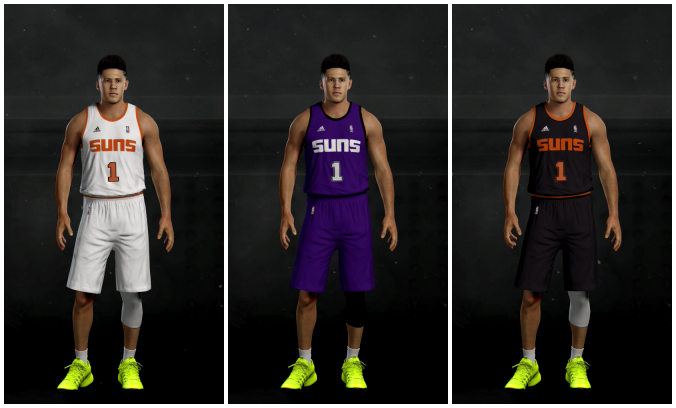 The Phoenix Suns today unveiled new home, road and alternate uniforms for the upcoming 2017-18 season, as well as an overhauled court design. 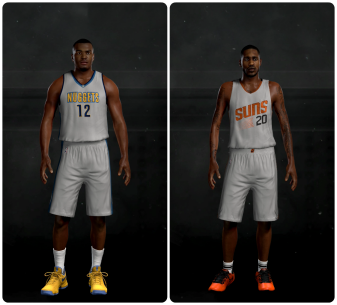 Reinventing the look of the franchise has been a common practice for the Suns over the last decade, with several different variations having been used in recent seasons. All three uniforms share the same simplistic design. The Suns will stick with their tradition of wearing a white home uniform, which they have been doing that since their creation in 1968. This latest version features orange trim and lettering. The new road uniform has a predominantly purple design, with black trim and white lettering. Meanwhile, the alternate uniform is mainly black and has orange trim and lettering. Phoenix's senior director of marketing Sarah Roberts is hoping that they will be a big hit with the fans. She explained the decision behind the updated uniforms today. "We wanted to come up with something that was simple but elegant. I think we succeeded". She added, "We felt that the purple look was really clean and fresh. But we're most proud of the third uniform. Believe it or not, it took a while to find the right shade of black to use to make it work. I think it looks great". 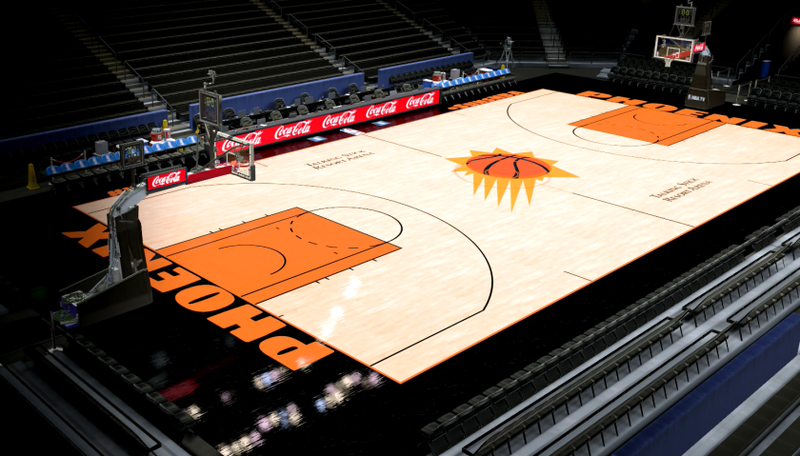 The new court design at the Talking Stick Resort Arena is reminiscent of one that they used several years ago. The outside area of the court is black, whilst all the lines and text are in orange. The design team even went as far as replacing 19,023 previously dark purple seats with brand new black ones. The idea being that it will create a more intimate atmosphere and draw all the attention to the vibrant new court. "We like to think of the court as a stage and the players as actors", explained Roberts. "We want you to be focussed 100% on the action throughout the game". It could be a smart move by the Suns to update their arena. With the addition of Andre Iguodala and the growth of Alex Len, Dragan Bender and Devin Booker over the past year, they are expected to be a playoff contender for the next few seasons. That means that they should be getting more nationally televised games, which in turn could help them gain more fans. “When you look at what we’re trying to accomplish as a team this season, there is an excitement about the new campaign. An excitement around all these new arrivals and younger players who are becoming NBA stars right before our eyes. It was important to us to utilize a more modern feel on the court”, said Roberts. The Suns open their new season on October 31st with a road trip to Oklahoma City to face reigning MVP Russell Westbrook and his formidable Thunder team. They will get to show off their new court a day later as DeMarcus Cousins and his new look Kings team comes to Phoenix. Elsewhere in the league, both Houston and Indiana also unveiled new-look uniforms. The Rockets kept their traditional white home and red road uniforms, but added a touch of class with some gold features. The Pacers went with a more retro look. Indiana's use of number two pick Markelle Fultz to model the new uniform for the media was a not-so-subtle way of showing everyone that they have moved on from the Paul George era and are entering a new and exciting period. Their young core of Markelle Fultz, Myles Turner, Jaylen Brown and Grayson Allen now have a great opportunity to take the reins of this franchise and become the next generation of stars for the Pacers fan base to cheer on. A busy off-season period has left many questions to be answered in the new season. Here are some to think about. 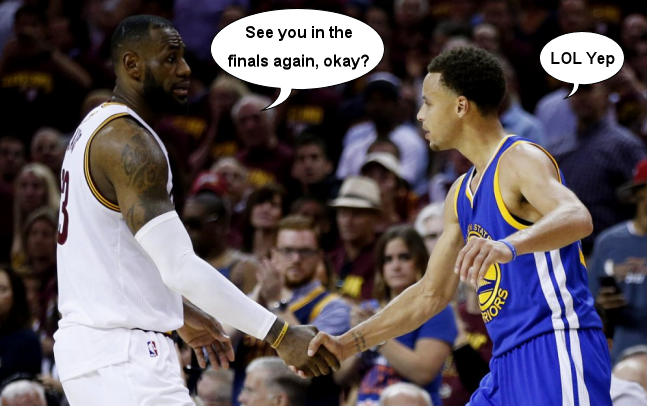 Will the Cavaliers and Warriors meet in the NBA finals for a fourth straight season? Both teams seemingly lost some roster depth over the off-season. Cleveland had several role players retire and saw key scorer JR Smith leave for more financial security in Brooklyn. They did pull off a trade for all-star Chris Bosh though and also signed sharpshooter Kyle Korver. Golden State retained superstar Kevin Durant and most of their bench players, but lost key depth players Andre Iguodala, Shaun Livingston and David West. They will still be the team to beat out west though, thanks to their fearsome foursome. Will Cleveland finally be challenged for top dog status in the east? It seems like this season could be the best chance in a long time of having someone knock LeBron off his perch in the eastern conference. The Boston Celtics recently added superstar Paul George in a shock draft day trade and now boast one of the strongest line-ups in the league. Philadelphia meanwhile are also expected to pose a serious threat to the Cavs. All-star John Wall has had a full pre-season with his new team and rising stars Joel Embiid, Ben Simmons, Nerlens Noel and Dario Saric are all expected to take the next step this season. The Sixers also signed veterans JJ Redick and Anthony Morrow to add some much-needed outside shooting. Will San Antonio fall back to the pack with Ginobili gone? For the past 18 years the Spurs have been a perennial contender who have managed at least 50 wins each season. The majority of that success was due to their star trio of Tim Duncan, Tony Parker and Manu Ginobili. Now that Duncan and Ginobili have retired, Parker finds himself as the only remaining member of that successful period. Luckily though, they still have a formidable team which is built around breakout superstar Kawhi Leonard. He is joined by Parker and fellow veterans LaMarcus Aldridge, Pau Gasol, Danny Green and Patty Mills. Young forward Kyle Anderson will need to take a step up in order to fill the hole left by Ginobili's departure. Will Miami's big moves push them back into playoff contention? Pat Riley got some big things done this off-season. The Heat completed two trades, which landed them Kevin Love, Ricky Rubio and Gorgui Dieng. They also drafted exciting French point guard Frank Ntilikina with the sixth overall pick. Clearly these moves to strengthen the roster were done with a return to the playoffs in mind. It's hard to see them missing out on that goal, given how much talent they have on their team. Is this the year that the Timberwolves finally make it to the playoffs? Minnesota haven't made the playoffs since 2004 when Kevin Garnett led them to the western conference finals. Thirteen barren seasons and a bunch of lottery picks later, they seem poised to have a really successful period. These days they are led by future all-stars Karl-Anthony Towns and Andrew Wiggins. They traded for number one pick Harry Giles on draft day and then signed veterans Taj Gibson and Jeff Green. The talent is certainly there, but they'll need to find a a way to play together in Tom Thibodeau's system. Will Andre Iguodala help the Suns take the next step? 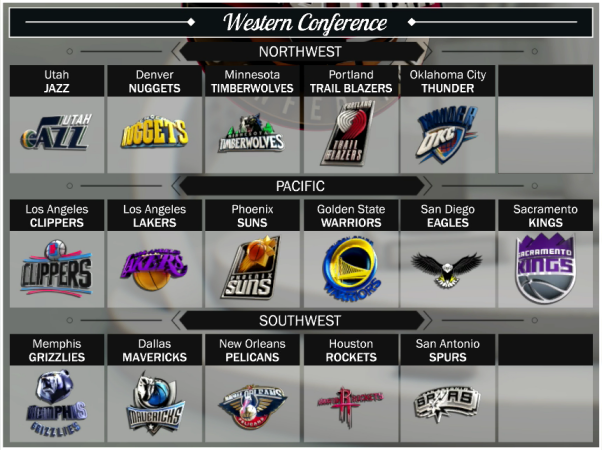 Last season Phoenix surprised almost everyone by taking the eighth seed out west. 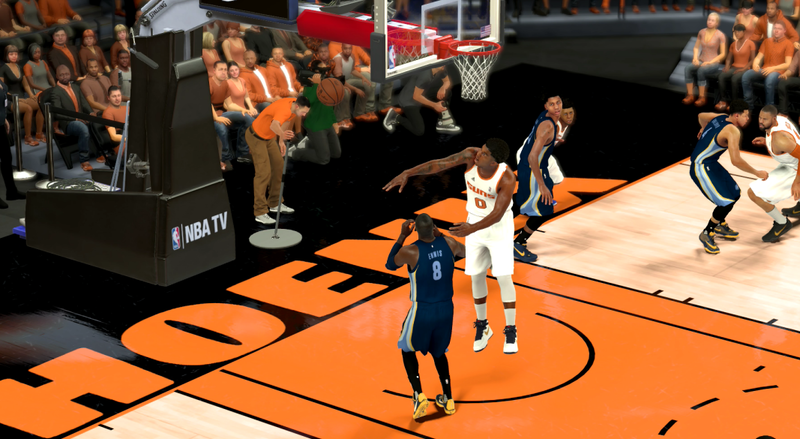 They crashed out in four games against the unstoppable Warriors, but their young players like Devin Booker, Dragan Bender and Alex Len showed greats signs for the future. Clearly Andre Iguodala believes in that bright future, because he left the reigning champions to sign on for two years with the Suns. The western conference is always tough, but you would expect the Suns to be challenging for the eighth seed again, at least. Are Sacramento's off-season moves enough to keep Boogie in town? Vlade Divac had a simple objective for this off-season: add as much talent to his team as possible. All-star big man DeMarcus Cousins is just about the only good thing the Kings have going for them, but he is entering the final year of his contact and hasn't committed to re-signing yet. The Kings have added Danilo Gallinari, Kenneth Faried, Wesley Matthews, Deron Williams, Boris Diaw and Jameer Nelson through trades or free agency. This new-look group certainly has the talent to make a playoff push. It just remains to be seen how they all fit together on the court. Can Shaun Livingston cut it as a starter in his second stint with Milwaukee? Livingston proved himself to be a brilliant backup to Stephen Curry with Golden State, but now he has the chance to prove that he can be the main man. He returns to Milwaukee, a team which he played 58 games for in the 2011-12 season. Interestingly, the Bucks now have two championship-winning backup point guards competing for the starting role. Matthew Dellavedova averaged 9 points and 6 assists per game after signing with the Bucks last season. Will Brooklyn be better after big-money signings? The Nets were the worst team in the league last season, finishing with a modest 24-58 record. Owner Mikhail Prokhorov has shown that he is willing to spend money on improving the team once again though, with both Rudy Gay (4yr/$89m) and JR Smith (3yr/$22m) signing on. It's hard to see those two signings being enough to lift this team into playoff conversation however. But maybe Brook Lopez and Jeremy Lin will have amazing seasons. They are both in contract years after all. What can we expect from the Pacers without Paul George? A team that finished with the eleventh seed last season and then lost a superstar talent isn't exactly gonna be aiming high this season. We'll likely see Indiana prioritising playing time for their new young core and perhaps making a few trades to maximise future cap room. It's quite probable that we will see the Pacers have two top five picks in the 2018 draft as they also own Brooklyn's pick. They have stated that they are aiming to replicate the Oklahoma City and Golden State model of building a contender through the draft. How much do the aging Grizzlies have left in the tank? Memphis have become famous for their hard-nosed, gritty style of play over the past half dozen years or so. Marc Gasol, Zach Randolph and Mike Conley have been the main forces behind that, with Tony Allen and Vince Carter also being key contributors. But father time is surely knocking on the door. Randolph (36), Allen (35) and Carter (40) are all fast approaching the end of their careers. Chandler Parsons will need to stay healthy if they hope to make the post-season once again. Who will finish higher: the Nuggets or the Timberwolves? Minnesota and Denver both have a wealth of young talent at their disposal. The Timberwolves have Karl-Anthony Towns, Andrew Wiggins, Zach LaVine, Goran Dragic, Taj Gibson, Jeff Green, Harry Giles and Kris Dunn. Whilst the Nuggets have Nikola Jokic, Jared Sullinger, Emmanuel Mudiay, Jamal Murray, Gary Harris, Josh Jackson, TJ Warren and Jusuf Nurkic. It's tough, but you would probably have to give it to Minnesota on account of Tom Thibodeau's experience with taking Chicago to the playoffs. How is the Wizards rebuild going? Washington were forced to make a tough call last season by trading all-star guard John Wall to Philadelphia. They subsequently entered a rebuilding period and used picks 8 and 14 in the 2017 draft to pick up Kentucky duo Malik Monk and Bam Adebayo, respectively. They are probably further along in the rebuild process than the likes of Indiana and Dallas because they still had Bradley Beal and Otto Porter after Wall left. Combined with Jahlil Okafor, Brandon Knight and Kelly Oubre, the future isn't looking too bad in Washington. What should we expect from the two expansion teams in their debut seasons? Louisville and San Diego actually did pretty well in building their rosters. Both picked up solid veterans in the expansion draft and landed exciting point guard prospects in the actual draft, Dennis Smith Jr and Lonzo Ball. It's quite unlikely that either will make it anywhere near playoff contention this season, but they both look to have enough talent to at least avoid the embarrassment of finishing bottom of their conferences. This draft class is rated as one of the best to enter the league in nearly two decades. Literally a dozen or more candidates could be realistically in contention to take out the Rookie of the Year award. Dennis Smith Jr (San Diego), Josh Jackson (Denver), Harry Giles (Minnesota) and De'Aaron Fox (Dallas) all look like safe bets because of the amount of playing time that they will likely get. The Likes of Jonathan Isaac (Orlando), Jayson Tatum (Oklahoma City), Marques Bolden (Milwaukee), Markelle Fultz (Indiana), Malik Monk (Washington), Ivan Rabb (Atlanta) and Lonzo Ball (Louisville) could all be outside chances as well, despite most likely playing bench minutes. Players from Minnesota and Philadelphia have taken out the award in each of the last four years. The Sixers didn't have any picks in the 2017 draft, so the pressure to keep this streak going rests solely on the shoulders of Harry Giles. Funnily enough, I originally had the home uniforms with purple instead of the orange. But it looked too similar to the Kings. 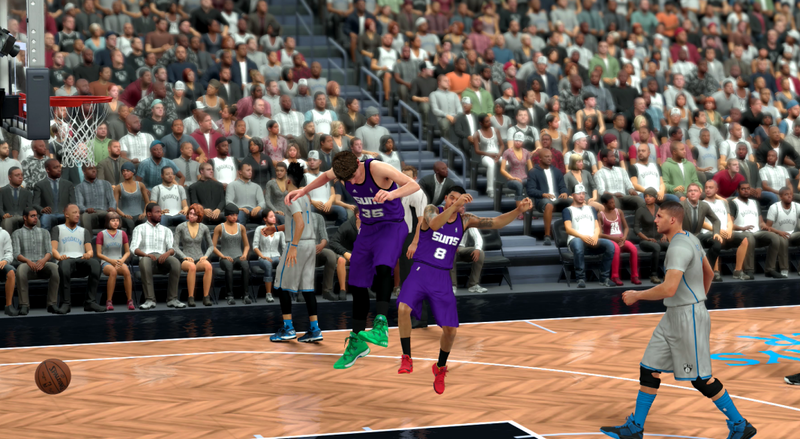 Booker and Bender shot a combined 4-23 (2-10 3PT). They only had 14 pts, 6reb, 2 ast, 1blk between them. I could see all-star berths for Bender and Booker this year! 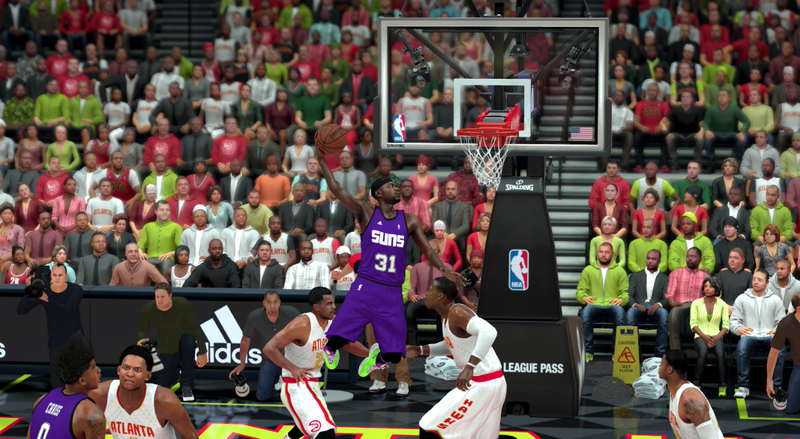 Lamrock wrote: I could see all-star berths for Bender and Booker this year! I think Bender is probably more likely at this stage. 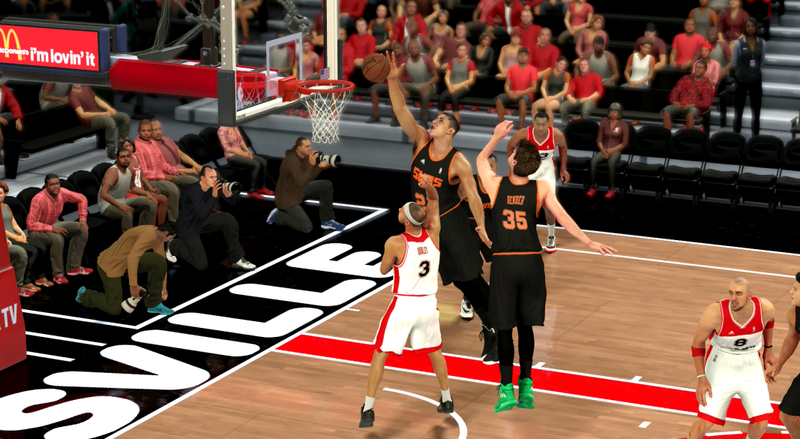 For some reason I haven't been able to find a way to consistently score with Booker yet. He misses too many open threes. 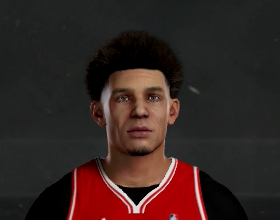 When will virtual Booker drop 70? It's actually frustrating how inconsistent his shooting is. Maybe I just don't have the timing down on his release yet. Phil89 wrote: t's actually frustrating how inconsistent his shooting is. Maybe I just don't have the timing down on his release yet. Last edited by Phil89 on Thu Apr 06, 2017 9:02 am, edited 1 time in total. 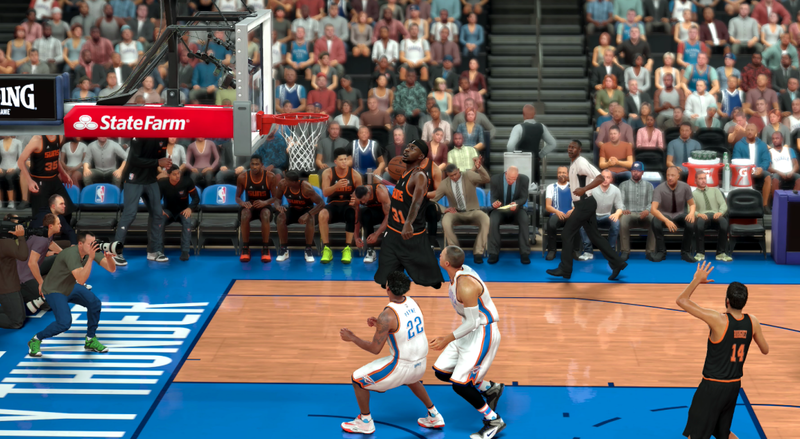 Phil89 wrote: It's actually frustrating how inconsistent his shooting is. Maybe I just don't have the timing down on his release yet. Have you thought about changing his release? It's kind of daunting because the game has so many of them, but changing his release could make him a completely different player for you. Nice win - it's early but you look to be headed for a high seed this year.